Apricot, glazed with chocolate with whole kernel of California almond. 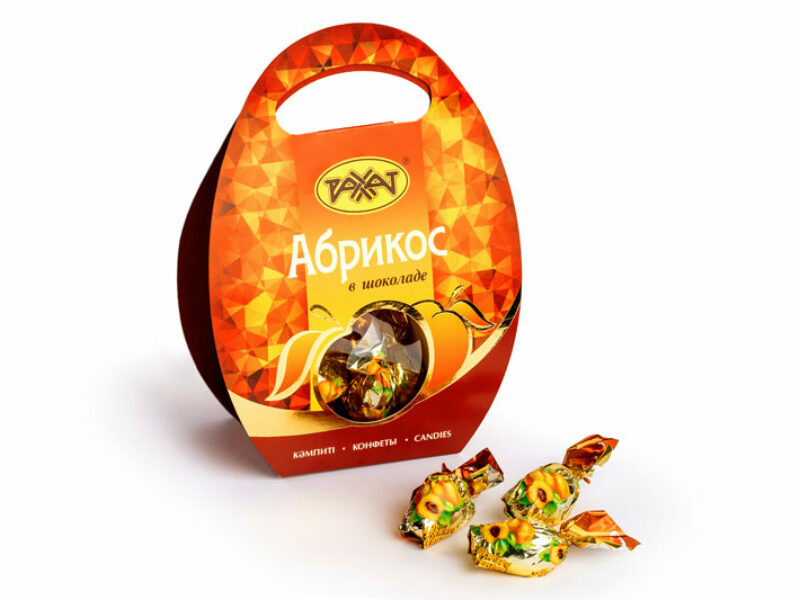 Ingredients: apricot (dried fruits), sugar, cocoa mass, cocoa oil, kernel of almond, glucose syrup, emulsifiers: soy lecithin, Е476, Е492; aromatizers are identical to natural. Storage temperature is 18±3°C, relative humidity should not exceed 75%.